August 2 (teleSUR) The government of Nicaragua has rejected attempts by the Organization of American States (OAS) to meddle in the Central American country’s internal affairs through a program tasked with monitoring the sociopolitical situation there. It also stresses that it is a political maneuver that does not have Nicaraguan consent, which represents a violation of Nicaragua’s national sovereignty. The Nicaraguan government also highlighted that it does not recognize the creation of an OAS commission to analyze Nicaragua’s internal affairs arguing they go against the wishes of the majority of Nicaraguans who only want to live in peace and security. Nicaragua has experienced a wave of violence that has left over a hundred people killed and damaged parts of the country’s economy. The Nicaraguan political crisis began in mid-April when protesters took to the streets against a proposed social security reform that sought to overcome the system’s financial crisis by increasing contributions by both employees and employers to avoid raising the retirement age. 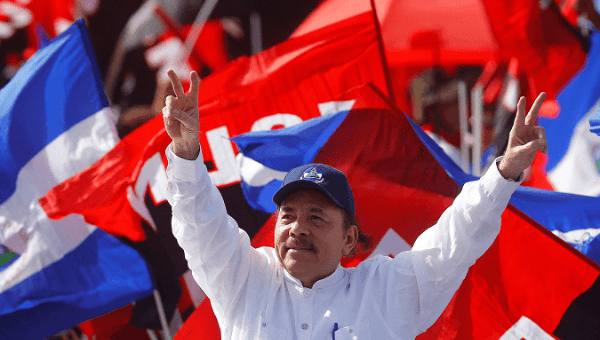 President Ortega withdrew the reform and issued calls for dialogue to avoid a spiral of violence, but the protester’s demand had shifted towards getting Ortega to step down before his term ends in 2021. A request the government has rejected.